In January 2009, the bitcoin – a new form of currency – made its global debut. The previous year saw a financial crisis in which trillions of dollars of wealth was destroyed by an economic collapse at the hands of large financial institutions. In the wake of such turmoil, bitcoin developers were determined to offer a means of electronic payment independent of any centralized authority. 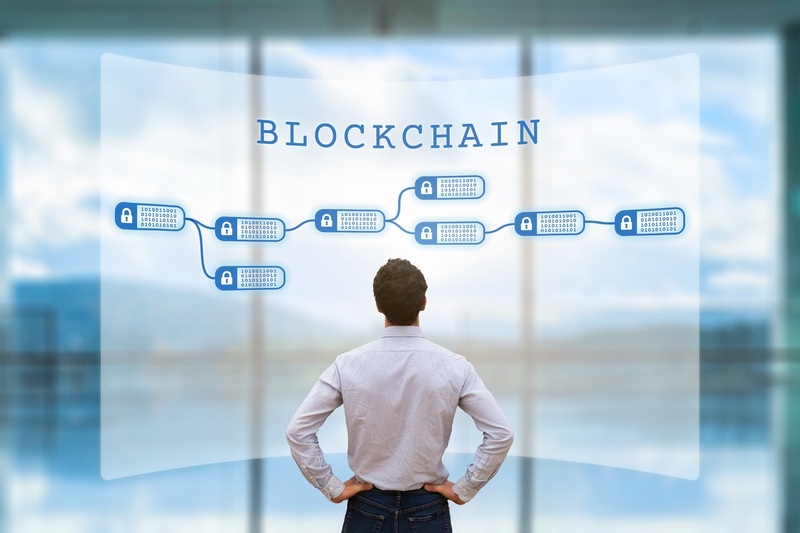 While blockchain experts struggle to explain the technology in layman’s terms, the key take-away is that blockchain technology allows peer-to-peer transactions without a middleman. It’s like making a digital payment to someone with no third-party service required. No checking account. No PayPal. No Google Wallet. Just you and the counterparty. And today blockchain technology is making its way into electric markets as a means of electric trading. Here is a look at the latest developments. Both bulk electric system operators and distribution engineers are grappling with how to adjust the system so that it operates safely and reliably with growing penetrations of renewable and distributed resources. Many energy business pundits believe the ultimate solution is to combine battery storage and flexible loads. This may require market participation by large numbers of residential and commercial customers with multiple devices behind their meters. …to stimulate the desired behavior given grid conditions? As Enerdynamics facilitator Dan Bihn once told me, “my utility should just tell me what load curve it wants to see at the meter, give me the right price signals, and let me manage my own load.” Technology is making this possible, but current regulation and markets are not there yet. and the lack of consumer trust in a post-Enron world. All transactions in this structure must go through multiple intermediary parties such as marketers and the system operator. But use of blockchains promises an alternative. 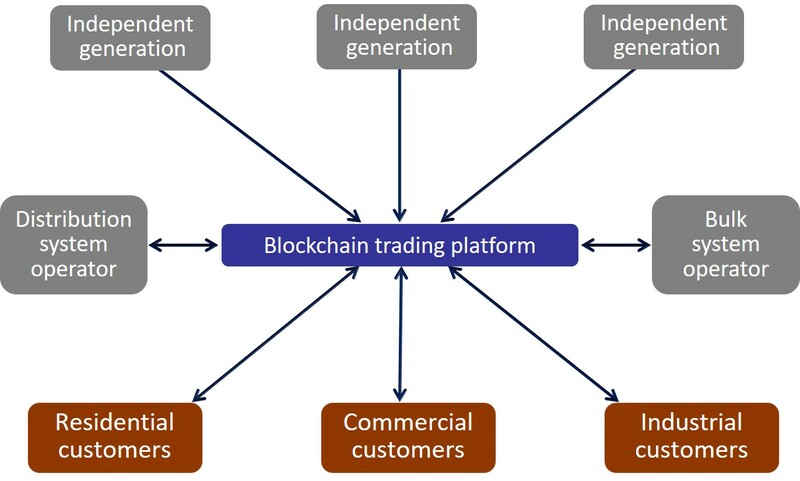 When paired with smart contracts that automatically allow participants to transact under certain conditions, blockchains could open the market to easily facilitated distributed energy trading. This trading may include energy and other grid requirements like frequency regulation and voltage support from battery systems or smart inverters. Of course, much needs to be resolved before this concept becomes reality. Regulations need to change. Load forecasts and balancing need to be managed in a way that ensures the grid stays balanced and that settlements for imbalances flow seamlessly. Methods for handling disputes may be required, and participants must feel confident the system is not subject to manipulation or hacking. Certainly some will be more successful than others, and some may not succeed at all. 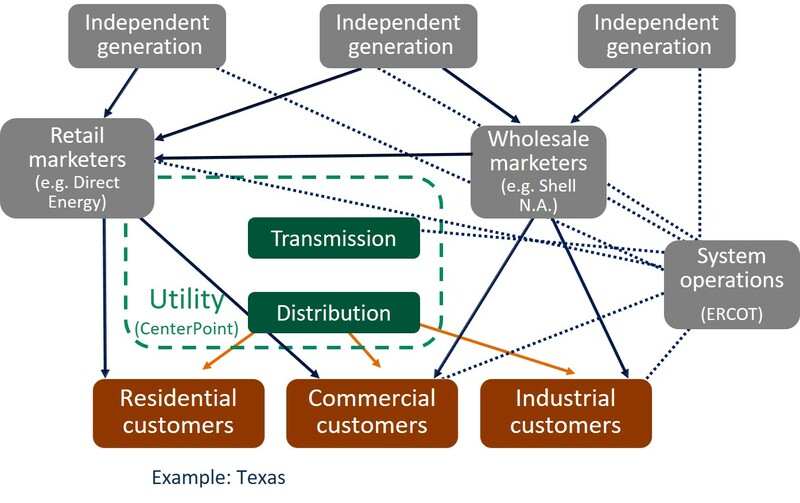 But it’s possible that one or two may be the future Microsoft or Apple of the transactive energy grid. This entry was posted in Electricity and tagged Bitcoin, Blockchain Technology, Electric Markets, Electric Trading. Bookmark the permalink.